Learn how to find free home school help at online locations such as Amazon, Pinterest, and Facebook if you're new to home education, have recently started teaching your children or simply need some encouragement or information. The prospect of getting starting can seem like a huge challenge because you may very well be the first person in your family or circle of friends to even consider teaching your children at home. However, rest assured that you won't have to "reinvent the wheel" because there are many sources to assist you in this journey. 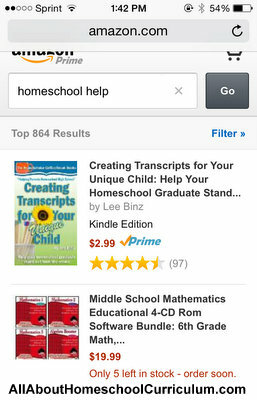 Amazon.com is a very helpful place to gain information concerning the process of teaching your children at home. They offer numerous new and used items to purchase to learn about home education. First, go to their search box and type in "homeschool help" or whatever topic you're looking for. Next, sort through the books, resources, and audio options to see what they currently offer. Then, make a selection based on your needs and budget. Pinterest is another terrific place to learn about and find great home school help. You can search for boards, pins or pinners related to homeschooling. It is a vibrant and creative collection of articles, websites, and blogs that offer insight from experienced homeschoolers and representatives from homeschool suppliers, too. Some of the types of things that I search Pinterest for are fun activities to do with our children in the areas of science and outdoor play. There are also many great boards and pins that offer home school help in teaching math, phonics or geography, as well. Of course, no article could be complete without discussing social media, and this one is no exception. Facebook offers personal and business pages that regularly post on field trips and activities going on in your area. You can also find links to their recent blog and site pages and comments on the things they like or dislike. I have not begun using Twitter yet, but I suspect that it can be a similar help to homeschoolers looking for information, reviews or comments about resources and curriculum. Learn how to use your Google search bar or whatever search engine you're most comfortable using, and look for the topics that you and your children are most interested in learning. Begin to research all the websites of the popular homeschool curriculum suppliers and see what they offer and what their educational viewpoint is, because everyone has one and they can be vastly different one from the other. Many homeschoolers start out by looking at ABeka, Bob Jones, School of Tomorrow, Saxon or Math-U-See, for example, but there are many others, too. Also, look for sites that review these curriculum suppliers and don't just read what they want you to know about themselves. See some of the curriculum reviews written on this site and others by informed and experienced curriculum users. Do you have devices in your home such as a Kindle, Nook or iPad? If so, you already have access to e-books and educational apps that can be used as supplements in teaching your children at home. I have found great reading and math apps that give lots of additional practice in a fun and entertaining way. Yes, there are numerous apps that are purely entertainment so you'll have to sift through the apps to find ones that are suitable for your children. There are many free apps so don't feel that you have to spend a fortune on these programs. Lastly, your local public library is a great place that has plenty of information on the topic of education and homeschooling, in particular. Get to know the librarian who can be very helpful as you research topics. Please be encouraged that there is plenty of homeschooling help as you begin this journey of teaching and training your children at home. If you are interested in reviews, free homeschool curriculum or homeschool worksheets, there are sites and sources to help you along the way. Be sure to read the FAQ or Frequently Asked Questions, found on many sites and blogs, too, for answers to commonly asked questions. I would also like to provide a place for you to ask any question you may have and solicit some home school help from myself and others, too. Feel free to complete the form below and submit for answers to YOUR questions.